Wow, what a premier location! 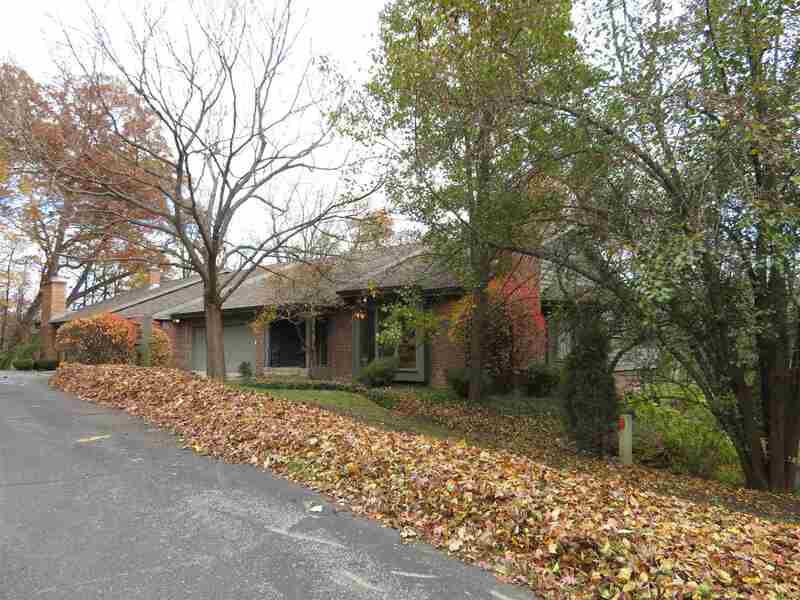 Location overlooking peaceful, private wooded terrine. Feeling like your own sanctuary with spectacular views from screened in porch 14x15. All appliances stay, large pantry, extra storage and writing desk in breakfast room. Home has 3109 sq ft of living up & down. Built by Artisans in 1980 and designed by Roy McNett. Premier area with 3 bedrooms master up and 2 down. Spacious rooms and wet bar in living room handy for entertaining. Nice size dining room open to living room with stone fireplace and built in bookcases and book shelves. Lower level has large recreation room with bar and stone fireplace and the 6x10 room just off main room could be an office. Laundry room 10x6 with built-in ironing board, storage closet and drip closet. Nice size windows and closets in all bedrooms. Huge storage area. Furnace 6 years old and water heater 4 years old. 4 association pools, club house, walking trails and tennis courts. Walk over to Covington Plaza. Close to I-69 and restaurants. Hurry will sell fast!